LONDON (Reuters) - Vodafone has agreed to buy Spain's largest cable operator Ono for 7.2 billion euros ($10 billion), the latest hefty deal in a European telecoms sector starting to rebuild as the region recovers from a recession. The British group said on Monday it would use some of the $130 billion proceeds from the sale of its U.S. arm to acquire Ono, with a superfast cable network and 1.9 million customers, to create a stronger challenger to market leader Telefonica. The deal for private equity-owned Ono is Vodafone's third purchase of a European fixed-broadband asset in two years, following similar moves in Britain and Germany, enabling it to offer fixed-line and mobile services, pay-TV and broadband, while saving money on building and operating its networks. The agreement, which comes as the French market undergoes a similar transformation, could also spark more consolidation within Spain as players such as France's Orange seek out acquisitions to avoid falling behind. Orange has been linked with Jazztel, Spain's fourth-biggest telecoms operator, while Yoigo, owned by Sweden's Teliasonera, is also seen as a likely target, analysts say. 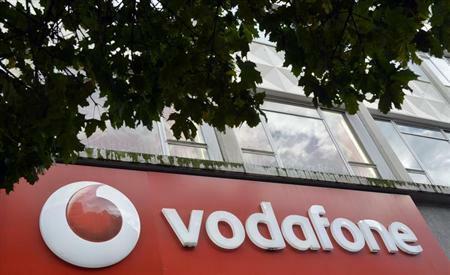 Shares in Vodafone were up 1.4 percent in midday trading, outperforming the FTSE 100 index, and shareholders have generally been supportive. "Historically, Vodafone has been a pure mobile operator," Henri Tcheng, a partner at consultants BearingPoint said. "But the future of telecoms includes convergence between very high-speed broadband, mobile and fixed so I would describe this as a compulsory move for Vodafone. "It is quite a high valuation, but in any given country the cable operator is in a unique place for mobile operators. So even if it is expensive, it is not a bad deal." Ono, which had been in the process of preparing for a stock market flotation, has 1.9 million customers on its network that covers 70 percent of Spain, or 7.2 million households out of a total of around 16 million. Having built the network later than other cable and telecom companies, Ono can achieve broadband speeds of up to 200 megabits per second, or up to 20 times the average of rival networks. And its footprint in more rural areas fits well with the superfast network Vodafone is currently co-building with Orange in major cities including Barcelona and Madrid. Vodafone said on Monday it would not commit to a second stage of the roll-out with Orange. The British group, which is ramping up spending on its European networks to boost speeds, said the deal would enable it to save around 240 million euros per year, before integration costs, by the fourth full year after completion. It also expects to generate revenue of around 1 billion euros as it seeks to cross-sell its mobile offering to Ono's cable customers, and vice versa. The planned savings and the appeal of the superfast network, which will also enable the British group to offload some of its mobile traffic and stop paying so much to rent lines from Telefonica, helped soften the blow of the hefty multiple the group is paying compared with typical telecoms valuations. A 7.2 billion euro price tag implies a multiple of 10.4 times the target's operating free cash flow, broadly in line with recent deals in the European cable sector. But it is almost double the 4 billion euro value assigned by bankers to Vodafone's current mobile business in Spain, which with almost 14 million customers at the end of December dwarfs its new acquisition. "Vodafone has seen revenues and core earnings from its Spanish operation decline by an aggregate of 38 percent and 60 percent between 2010 and 2014 estimations," Jefferies analyst Jerry Dellis said in a note to clients. "Securing a more credible fixed to mobile convergent offering on a faster timescale than a self-build could deliver is vital to stabilizing that momentum." According to the Spanish regulator, Vodafone had almost 25 percent of the mobile market, and the deal which includes Ono's 1.1 million mobile customers is likely to increase that by almost 2 percentage points. Orange has around 23 percent of the market. In the provision of fiber, Vodafone would now be number one. Analysts said they expected regulators to approve the deal without requiring Vodafone to make any concessions. The deal for Ono will be financed from existing cash resources and committed but undrawn bank facilities. Morgan Stanley advised Vodafone on the deal while Deutsche Bank acted as the lead financial adviser to the shareholders of Ono.